It's always fun when I am able to participate in "The Fab Furniture Flippin Contest" and this month I am at it again. The theme this month is Farmhouse Fun and our marvelous sponsor is "Old Fashioned Milk Paint Co." The Old Fashioned Milk Paint Co has been around for 42 years and is made as close to the old primitive time. This is a product you can feel good about using, since it's biodegradable and no VOCS. To create milk paint, they use milk protein, lime, clay and earth pigments. 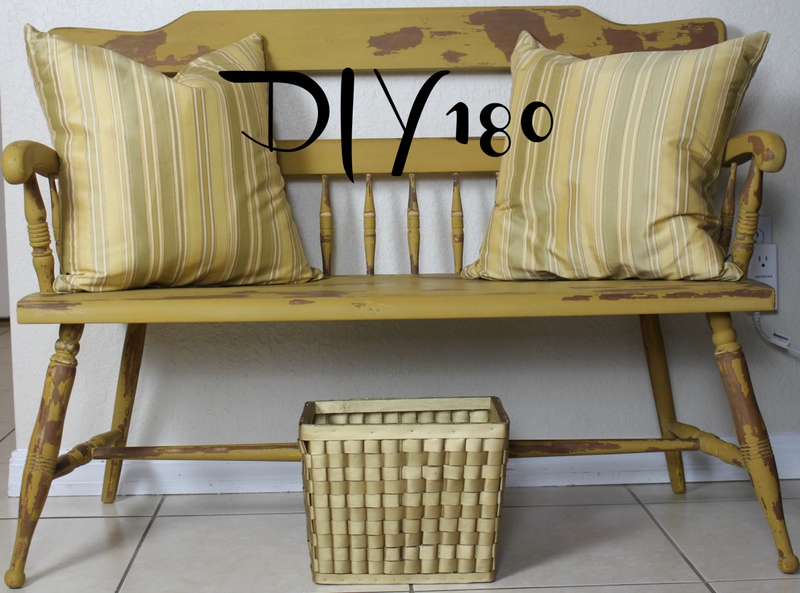 And just like milk, milk paint will spoil so just make small batches at a time. Their line of products includes 20 color of milk paints, Safepaint that can be used on the walls, Eco-Orchard paint, Extra bond and antique crackle. As a participant in this contest, I received free products, but all the opinions are entirely my own. 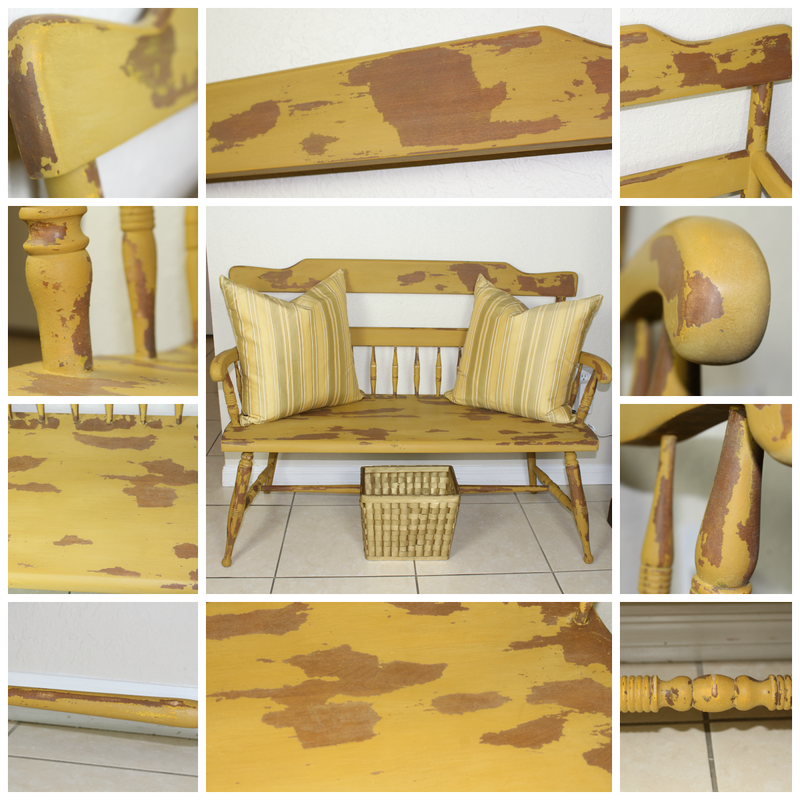 This post contains sponsored links for Old Fashioned Milk Paint Co. 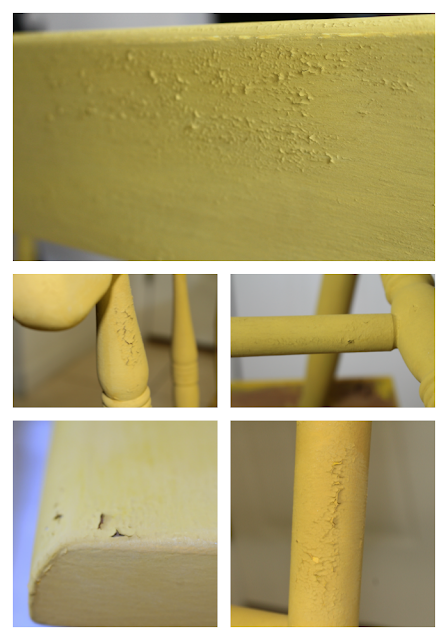 I chose the Old Fashioned Milk Paint Co color in mustard, the extra bond, and the Daddy Van's unscented beeswax furniture polish. I have a love for golden colors and tend to lean towards the warm yellow. For the first batch, I mixed equal part color and water (8 tablespoon of color and water) and mixed well. I let the mixed paint sit for 15 min and ran it through a strainer. Next I added 4 tablespoons of extra bond into the paint and stirred well. I was then ready to apply the paint. I had to make 3 separate batches of paint, however only the first batch had the extra bond, whereas the other two batches did not have the extra bond. After three coats, I am getting some cracking goodness. 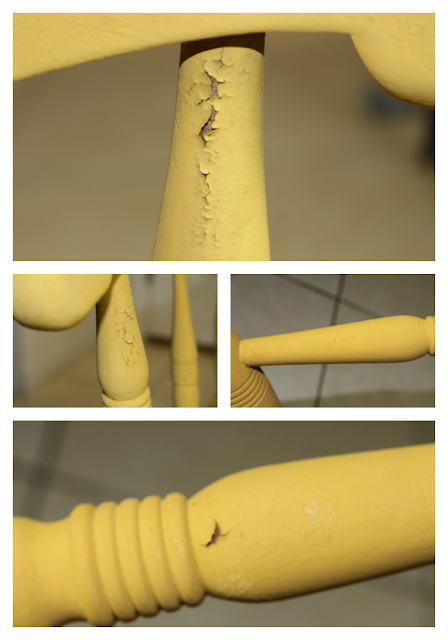 Using a hand scraper and sanding block I chipped away at the paint. This product line is excellent, the color works so well in my home and I love the warm tone of OFMP mustard color. This piece turned out great, even after just one coat of wax. I am fond of this product line for a few reason, 1) the paint doesn't have a smell, 2) you can easily mix the colors and no harmful chemicals. This bench is a great pop of color in my living room and I am elated. 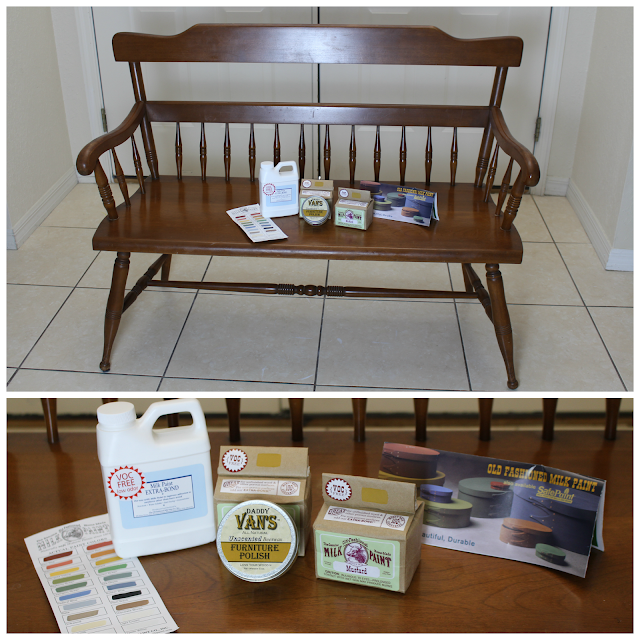 I want to thank Old Fashioned Milk Paint Co. for providing the products for this contest. 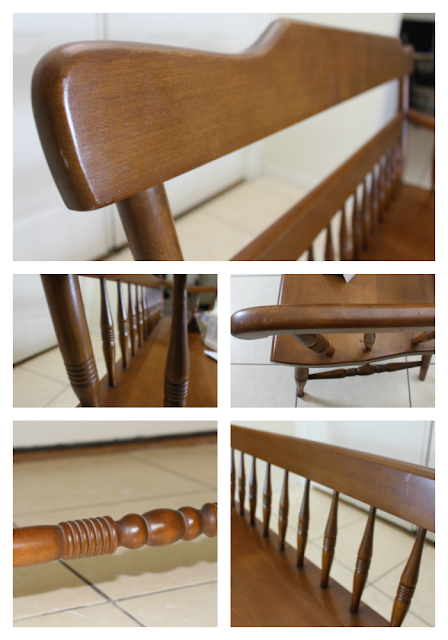 I also would like to thank the ladies over at the Fab Furniture Flipping Contest ™ for this great challenge. 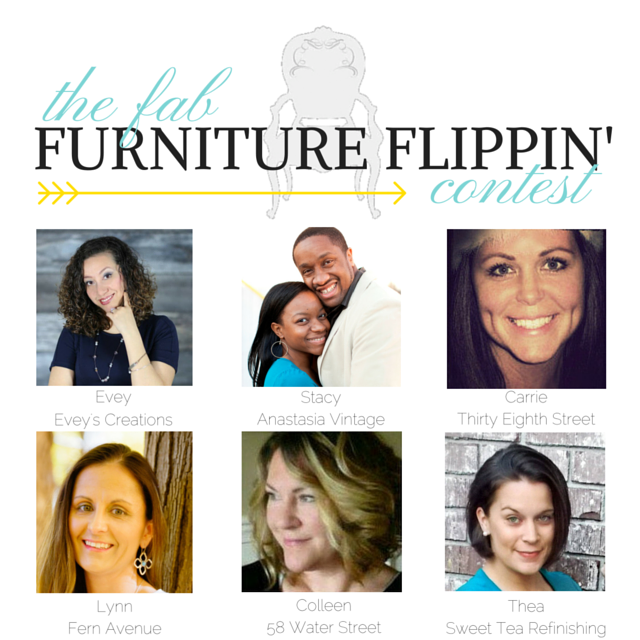 If you are a furniture flipper and interested in being a part of next month’s challenge, contact the ladies over at info@fabfurnitureflippincontest.com to find out how! I am linking my project up at Stacy at Anastasiavintage.com and Evey's at Sweetsonbirds. Please head over there to see what other fabulous flippers have done. Beautiful, Vanessa! You have turned a very traditional piece into a true work of art. Very unique and full of charm. That looks so much better! Love the color you chose. 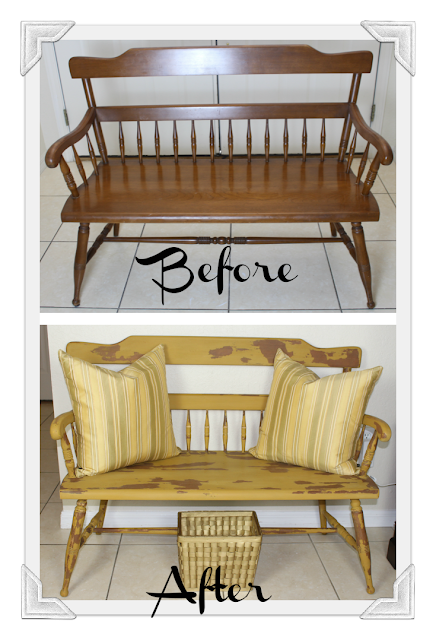 You have inspired me to redo my parsons bench and change it from black to mustard..I have been wondering what this color looks like all done and I love it! I love the bench and the yellow is so perfect for it! Great job! This is looking pretty amazing. This is totally a new thing to try. Utterly loved this way to transform bench. Fabulous work done!! I tend to hone in on the blue tones but I'm really loving this yellow, I may have to give this bright summery hue a go very soon. Wonderful makeover. I love those old benches. You picked a great color! It looks great. What an awesome makeover! I love how it's rustic & chic looking. You did such a great job! This would fit in so well with my love for farm/country cottage style decor. You have inspired me to start a project with this milk paint!